If today’s teenagers are tomorrow’s customers, then e-cigarette use in teens suggests that we are edging closer to the end of tobacco. E-cigarettes are more popular with teenagers than traditional cigarettes. According to data from the CDC, 13% of high school students vape, while at the same time the decline in teen smoking rates has accelerated. Facts like these show why some Wall Street analysts have predicted that vaping will overtake smoking within the next ten years. This is a massively important victory, not only for vaping, but also for public health. These teenagers are not being exposed the tar, carbon monoxide and other toxins found in regular cigarettes. But more importantly, these teenagers are breaking a cycle of cigarette addiction that has lasted for generations. 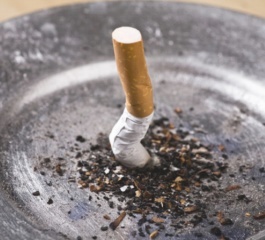 One of the most important predictors for being a lifelong smoker is smoking as a teen. We know that when a non-smoker experiments with cigarettes, they have about a 50% chance of going on to become a daily smoker. This is a tempting prize for tobacco companies. If they can get a teenager to try just one, they’re looking at a heads-or-tails chance of landing a customer for the next fifty years. That is, they used to. Today’s teenagers prefer vaping to smoking because it’s new, costs less, is more socially acceptable and because they don’t have to go to class smelling like an ashtray. If it’s any indication of the growing trend, searches for “vape” overtook searches for “cigarette” midway through 2015. Fortunately, vaping also happens to be better for their health too. And while that first puff of a traditional cigarette has a good chance of getting the user hooked for life, the same simply isn’t true of e-cigarettes and vaping. While alarmists worry that teens are simply swapping one form of smoking for another, it’s crucial to remember that vapers — including teenagers — are almost exclusively ex-smokers choosing a safer alternative. According to Professor Peter Hajek, non-smokers who experiment with vaping almost never go on to become regular vapers. His point is backed up by the data. In a recent smoking survey by the United Kingdom’s Office for National Statistics, it was found that less than 2.5% of vapers were people who had not smoked before. The e-cigarette market is hugely innovative, with hundreds if not thousands of independent companies scrambling to come up with the next big break-through. Inventions like the box mod came out of garden sheds and many of the most popular e-juice flavors were made by amateurs experimenting in their spare time. But while this chaos and creativity is great for the customer, it’s far from ideal for the big tobacco companies who struggle to keep up with the change. In response, Big tobacco has bought its way into the vaping industry. Vuse, Vype and Blu are owned by RJ Reynolds, British American Tobacco and Imperial. But the success of big tobacco is far from guaranteed. The major tobacco brands have shied away from innovation and continue to offer ‘cig-a-like’ products — e-cigarettes which look and feel much more like traditional cigarettes. Unfortunately, customers strongly prefer the more innovative models that are usually made by independent e-cigarette companies. According to the ONS, only 20% of British vapers use cig-a-likes. And independent brands like Kanger out-muscle the major tobacco brands’ products in Internet searches. Big tobacco has responded to innovation with legislation. RJ Reynolds lobbied the FDA to get ‘open vapor systems’ (box mods) banned. The proposed FDA rules in the US and the Tobacco Products Directive in the European Union both favor larger established companies over innovative new ones and have big tobacco’s fingerprints all over them. The deep pockets of the big tobacco companies give them a significant advantage here, but either way – times are-a changing! Teenagers are choosing vaping over smoking and they’re not likely to change their minds once they grow up and become adults. By vaping rather than smoking, today’s teenagers are consigning traditional cigarettes to the ashtray of history. And from my viewpoint, it’s long overdue. Great article! I think it’s only a matter of time before ecigarettes overtake traditional cigarettes, despite the negative press and lobbying. I agree with Laura and I can only hope that e cigs takes over traditional smoking. I don’t think e cigarettes are totally harmless, but a hell of a lot better! I know firsthand as I went from smoker to vaper to nothing at all! Yeah Kevin, I actually did the same thing – I went from smoking to vaping, and eventually was able to go smoke free all together. I would much rather see teens puffing on a vaping device than a traditional cigarette too, I’ll tell you that. Great article Pascal.